Tollywood Stylish Star Allu Arjun has announced his next project with Wizard of the words, Trivikram Srinivas. The audience are eagerly waiting for the regular shooting of the movie to go on sets. As per the latest reports, the makers are planning to launch the film very soon. Meanwhile, Allu Arjun is going to the inauguration ceremony of a talent hub named as ‘C Space’. 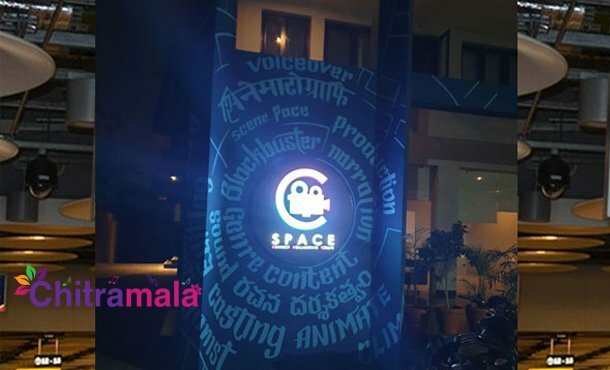 Navadeep joined hands with some of his business partners and established ‘C Space’ which is a talent hub that acts as a good platform for all the aspiring and talented people to get into the film industry. The office is going to be opened on April 6th and Allu Arjun is going to attend the event as the chief guest. Rumors are rife that an important person from Geeta Arts is also a part of this business which is why Bunny has made some time to grace the event. On the other hand, Bunny-Trivikram project is being bankrolled by Geetha Arts in association with Harika and Hassine Creations banner. The official announcement of the leading lady of the film is yet to be made. Allu Arjun and Trivikram’s Movie Hits The Floors!